The semi-finals of the Scottish League Cup are set to played at Hampden Park this weekend (31st January and 1st February), and Aberdeen look a decent bet to retain the trophy they won last year. The big story of the cup has been the semi-final draw between Celtic and Rangers, which promises to be a mouth-watering clash, but that means that the other semi-finalists, Aberdeen and Dundee United, have flown under the radar a little bit. The sides who currently occupy 2nd and 4th in the Scottish Premiership will both fancy their chances of a place in the final, and once there they will be just 90 minutes away from cup success. Celtic dominate this betting market, which comes as no surprise, but they are not the ‘dead cert’ that the odds would suggest, and if we take a view that Celtic can be opposed, the market is wide open. After the debacle that has befallen Rangers in recent years, this was the tie that fans and neutrals alike were hoping for, and the draw didn’t disappoint. For so long this has been the most competitive fixture in Scottish football, but it will be a very one-sided affair this time around, with Celtic as short as 2/5 1.40 -250 0.40 -2.50 0.40 to win the match. Rangers’ financial troubles have been well-documented, and they’ve had to start afresh and work their way up through the league ladder. They currently sit second in the Scottish Championship, but are 13 points behind leaders Hearts, and a play-off place looks to be the best they can hope for. Celtic are top of the Premiership, as you’d expect, but it hasn’t been completely plain sailing this season and they are still only a few points ahead of the chasing pack. The semi-final will be the first time the two clubs have faced each other since April 2012, and Rangers entered liquidation shortly after. Both sets of players and fans will be delighted to renew the rivalries, and Hampden is a fitting place for such a big match. However, some of the big game build-up may have gone a little too far, with Celtic’s on-loan Manchester City striker, John Guidetti, going public with his target of hitting a hat-trick against Rangers. That will probably be seen as disrespectful by the Rangers players, and can only serve to further stoke the fires in a match that hardly needs it. For their part, the Rangers players have said that they’re relishing the opportunity to play Celtic, and they go there with nothing to lose. 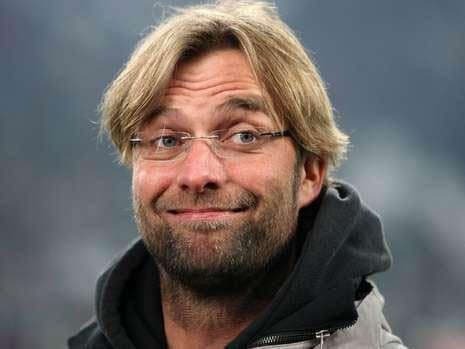 We’ve seen in the English FA Cup that the big sides can get turned over if they’re not on top of their game, and Celtic will end up with egg on their faces if they think they can just turn up and win. The other semi-final involves two Premiership sides, who are having great seasons so far. Aberdeen are second in the league, just three points behind Celtic, while Dundee United are a further three points behind in 4th. Both teams come here in excellent recent form, and this one will prove to be just as competitive as the Old Firm derby. 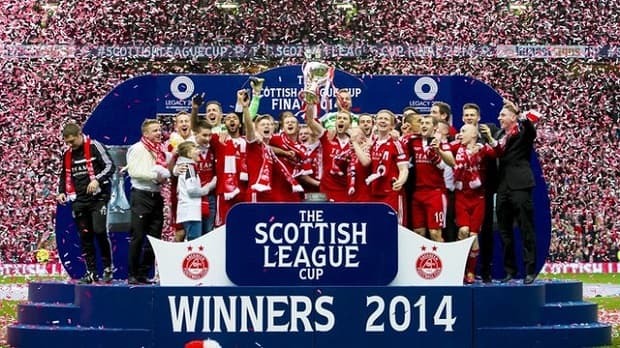 Aberdeen won the competition last season, beating Inverness Caledonian Thistle 4-2 on penalties in the final. If they can overcome Dundee United in this game, they’ll have a good chance of upsetting the odds in a one-off game in the final. Celtic and Rangers have dominated the competition historically, but neither has made a final appearance since 2012, when Celtic lost to Kilmarnock. That will change this year, as one of them is guaranteed to be in the final, but it remains a fact that neither of the traditional ‘Big Two’ have won the cup for the last three years. Aberdeen and Dundee United met five times throughout 2014, so there’s plenty of recent form with which to assess this match. The Dons came out on top over those matches with three win to the Tangerines one victory, with the other match a draw. Aberdeen will hope to continue their dominance in the fixture on Saturday, and they’ve been in superb form leading up to this. They were on a run of seven wins in a row, before drawing the last two against Dundee FC and St Johnstone. They’re still unbeaten in nine though, and have kept seven clean sheets in the process. Dundee United are also in rude health, and have only been beaten twice in the last eleven, with seven wins and two draws. One of those defeats was at home to Aberdeen though, and the defending champions will see this as a great opportunity to get to the final for the second year running. This game has been practically ignored in the build-up to this weekend, with the media focusing on the Old Firm derby. That’s perfectly understandable, and it will suit both Aberdeen and Dundee United, who have flown under the radar on their way to this semi-final. There’s little doubt that Celtic are pound-for-pound the best team in Scotland, but as the last few seasons have shown, that doesn’t always translate into a winner’s medal in the League Cup. They’ll be focused on the League and FA Cup double, as well as a Europa League clash against Inter Milan. It’s tough for any team to compete on so many different fronts, and the League Cup is probably the most expendable competition in Celtic’s portfolio. They should overcome Rangers on Sunday, despite the occasion, and we expect them to take their place in the final. However, they are no value at the prices, and considering Aberdeen are within three points of them after 22 league games, it suggests that the gap in quality isn’t quite as big as the swing in the odds.